Law school application consultants always try to emphasize that an applicant with a high LSAT and GPA combination can still be rejected due to a poor overall application. Similarly, every year a couple of "reaches" make it into the hallowed HYS realm by exploiting the "softer"--i.e. anything other than LSAT and GPA--parts of their application. As we enter the new law school application cycle for 2010-2011, the future law classes of 2014 have several steps to take before the applications go live on LSAC's website in late August and early September. Continue prepping for the LSAT--obvious, but it's still front and center even in a post about application soft factors. If you're taking summer classes, get that A or A+ to boost your GPA one last time before you click "submit." Research schools and programs you are willing to invest three years of your life and ~$100k in. Do not apply willy-nilly to schools, as it's a huge commitment and will cost you application fees if nothing else. Calculate your chance of admission at these schools based on steps one and two. Develop a tiered list of "dream," "likely," and "safeties" at chance <25%, <50%, and <75%, respectively. Draft a solid personal statement, preferably tailored to match the schools and programs you identified in step three. Read about my entire drafting, writing, and editing process. If you are especially interested in a specific program or school, don't hesitate to go the extra mile and write a unique statement for that school. People often attribute scholarship money to such efforts. Draft your resume to emphasize the breadth of your experiences and successes by focusing on the fewest cogent bullet points. 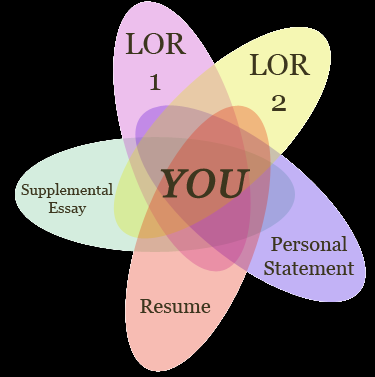 Once you have your personal statement and resume down, sketch out the pieces of you that each one adequately covers. Remember that the goal is for each piece of your application to show a different part of yourself, emphasizing the breadth of your experiences by focusing on a few specific points with depth. After you have identified the parts of you that are in each document, make sure that there isn't too much overlap between the two pieces. 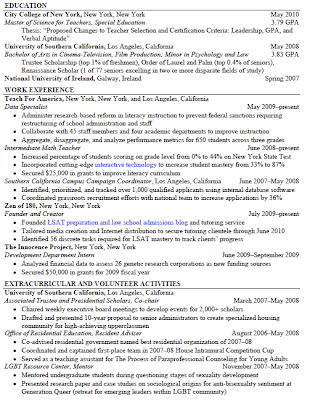 As an example, if you're the captain of an NCAA Division 1 sports team, coach a youth team in that sport, and raise money through a charity by playing that sport on the side... there's no need to write your personal statement about your love of competition in that sport and then also list all three activities on your resume. That doesn't end up making you memorable in a good way, it makes you sound like a one-trick pony. Use the visual guide above as your target: each piece of your application is an opportunity to present a different view of your credentials and reasons to attend law school. The overlap should be more abstract concepts like, "passionate," "human rights," and "intellectually curious," rather than a specific activity. 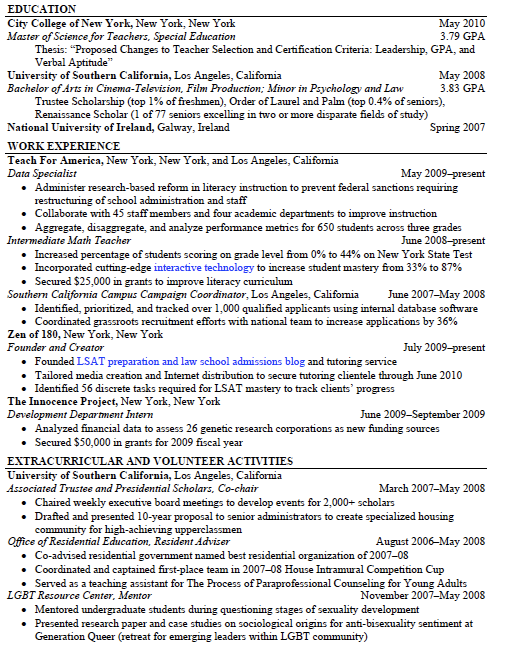 Once you have leveled out your personal statement and resume, it's time to start thinking about who can recommend new and unique aspects of your academic and work experience. We'll go into how to select, approach, and guide your recommenders through the LSAC letter of recommendation process on Wednesday.